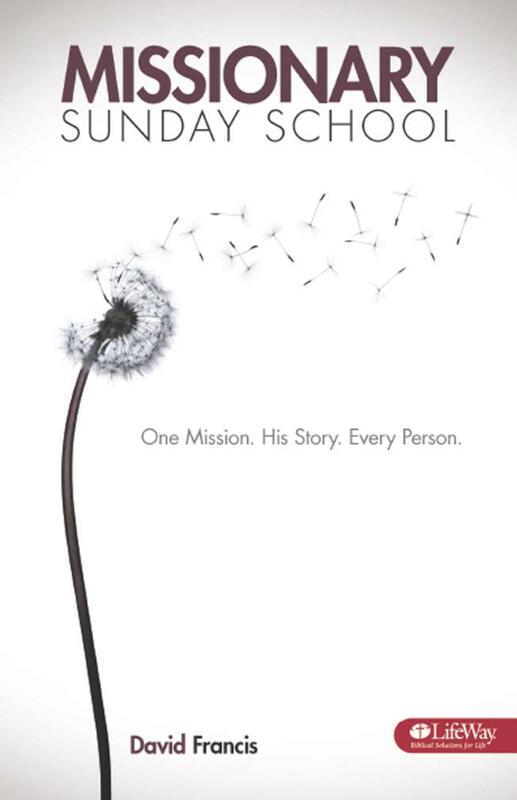 Missionary Sunday School is the second book in a series that takes key principles from LifeWay’s Transformational Church research initiative (the largest research project ever conducted on the North American protestant church) and offers practical suggestions on how your church’s Sunday School ministry could become transformational. The very idea of a Sunday School class or small group acting from a missionary mindset may be jolting to some. Over the years, “Sunday School” has become almost synonymous with “Bible Study.” Likewise, the most common word to describe “Small Group” has probably been “Community.” Of course, most Sunday School classes enjoy community, and most small groups enjoy Bible study. It is the rare class or small group, however, which discovers the joy of becoming a missionary enterprise. This book explores that idea in depth. David Francis is Director of Sunday School & Discipleship at LifeWay Christian Resources. Before joining LifeWay in 1997, he served as minister of education at First Baptist Church in Garland, Texas. David and his wife, Vickie, are actively involved in all three morning services at First Baptist Hendersonville (TN). They teach preschoolers (Pre-K is their people group), they’re part of a new adult Bible study class, and they participate with their church in corporate worship. The book retails for only $1.50 and is the best value you’ll find for training your teachers. A companion resource kit has 10 monthly leadership meetings for teachers.